The fresh date has been issued after the former Bihar deputy chief minister skipped similar summons of appearance for October 31. 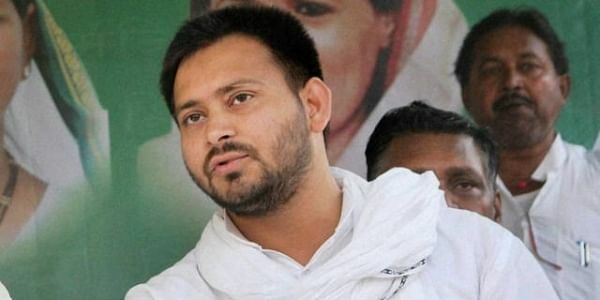 HYDERABAD: The Enforcement Directorate has issued fresh summons asking Tejashwi Yadav, son of RJD leader Lalu Prasad, to appear before it on November 13 in connection with its money laundering probe in the railway hotels allotment corruption case, officials sources today said. The fresh date has been issued after the former Bihar deputy chief minister skipped similar summons of appearance for October 31, they said. The fresh date for his appearance is November 13 now, they added. Tejashwi's mother and former Bihar chief minister Rabri has already been asked by the ED to appear before it on November 7, for questioning in the case. Tejashwi has been once grilled by the ED for over nine hours in connection with the case but he later skipped four summonses to appear again. Rabri Devi too has skipped the ED summonses at least five times. In July, the Central Bureau of Investigation (CBI) had registered an FIR and conducted multiple searches on the properties of Lalu Prasad, who is also a former Bihar chief minister, and others. The ED had registered a criminal case against his family members and others under the PMLA, based on the CBI FIR. The CBI also recently recorded the statements of Tejashwi and Lalu Prasad in this case.